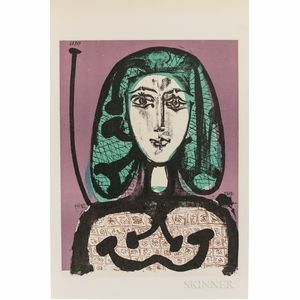 Picasso, Pablo (1881-1973) Lithographe III 1949-1956. 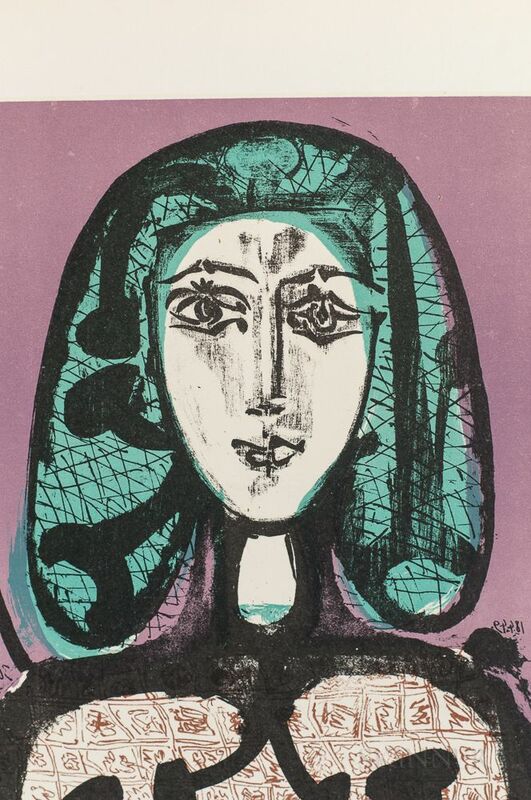 Picasso, Pablo (1881-1973) Lithographe III 1949-1956. 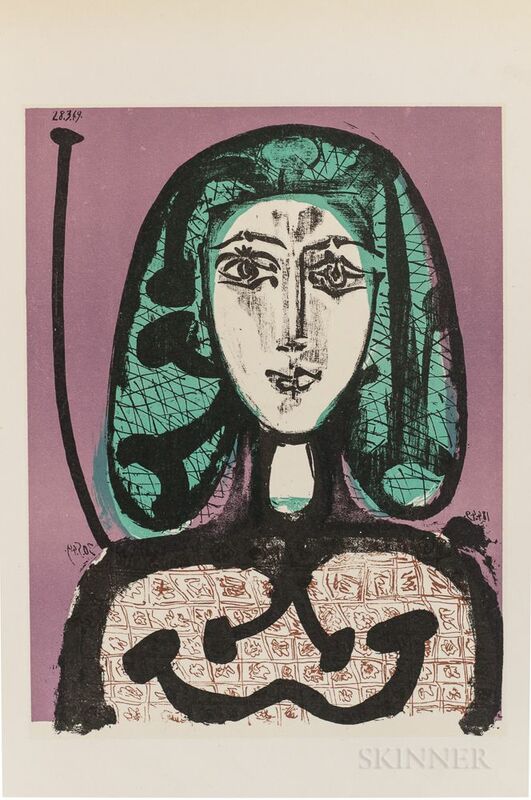 Picasso, Pablo (1881-1973) Lithographe III 1949-1956. Monte Carlo: Andre Sauret, Editions du Livre, . 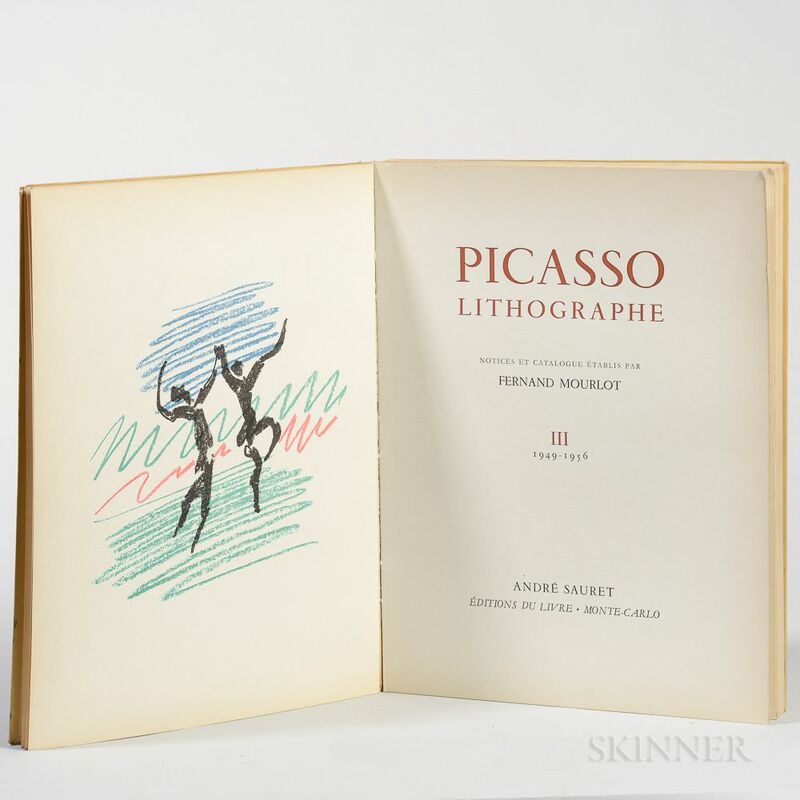 Folio, edited and catalogued by Fernand Mourlot, illustrated, publisher's soft paper covers with glassine (chipped, spine tear), 12 3/4 x 9 3/4 in.